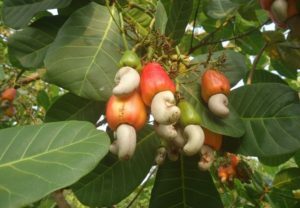 Why did 80% cashew producing units close in Kollam? Kollam is a city in Kerala which is positioned on the banks Ashtamudi Lake; it owns strong commercial reputation from the years of the Romans and the Phoenicians. It was one of the five Indian ports Ibn Battuta had visited during the course of his twenty-four-year travels. Persian merchant Sulaiman al-Tajir, in the 9th Century, found Kollam to be the only port in India visited by the Chinese junks. In 825, Mar Sabor founded this port city as an alternative to reopening the inland seaport. Why is Kollam regarded as the Cashew Capital of the World? A Portuguese businessman brought Cashews in India for the very first time. He then planted Cashews along the coasts of Goa to prevent erosion. In that era, this product was exported in oil cans, and the method was known as Vita Packing. 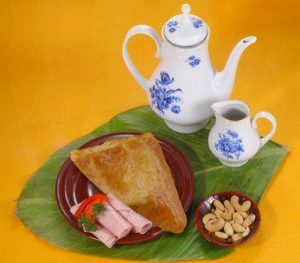 However, the nutritional value and health benefits were discovered decades later. It was found in the 16th century that the Cashew trees adapted their new address, Kollam, very well. Kollam was under Portuguese control that time. Now, most of the cashew businesses in Kollam are owned and operated by particular families. Cashew nuts, along with tea, spices, and basmati rice, are among the top four agricultural exports in India. Even though the city earned more than 5000 crores in 2017, great numbers of units are facing input costs and mounting losses. 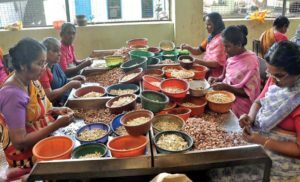 Indian National Trade Union Congress leader, Kadakampally Manoj, said, ”Kerala has 840 registered cashew factories, almost all of them in Kollam. And over 80 per cent have shut shop in the past two years due to huge operational costs that eventually led to accrued loss of these firms.” This large scale closures have rendered 3 lakh women and 50 thousand men jobless. To cope with this unexpected crisis, the state government has restarted 350 plants.